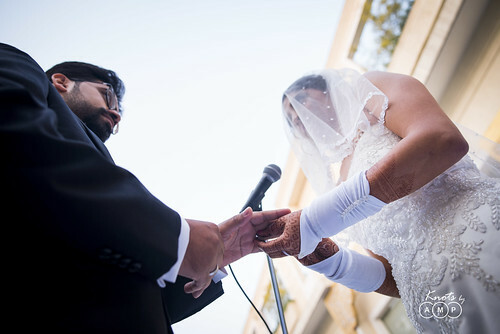 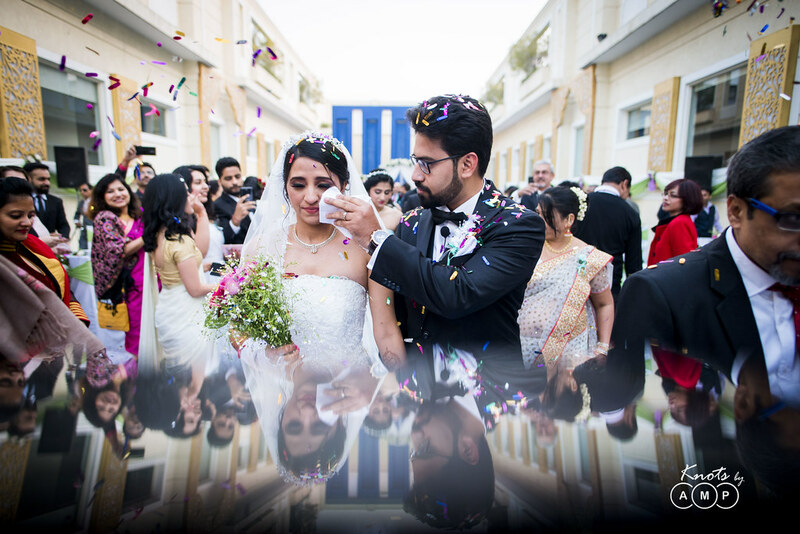 White weddings are the stories of vision in monochrome & how much we love shooting them. 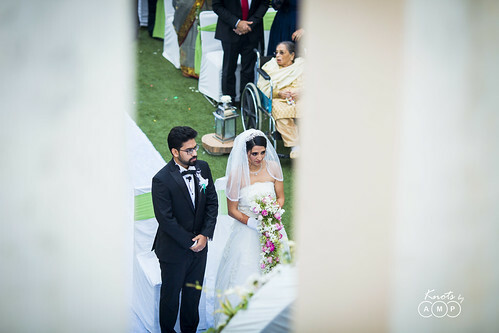 This was the second white wedding of this wedding season, out of the total three we covered. 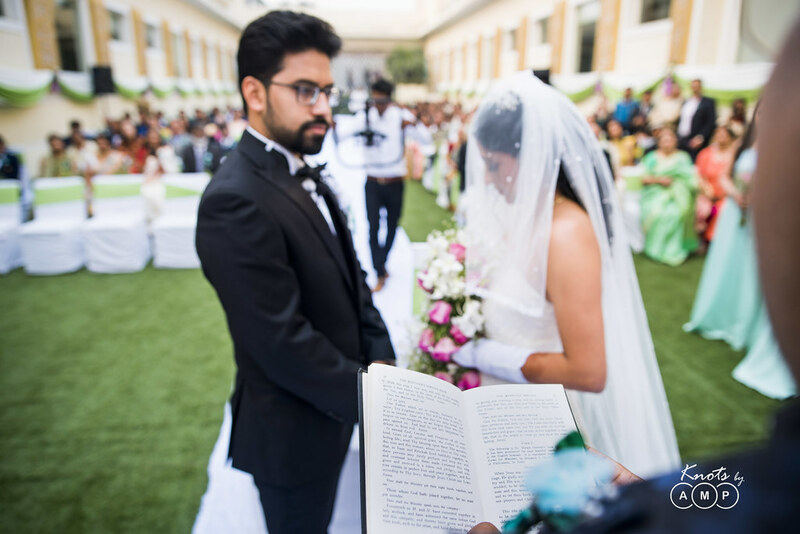 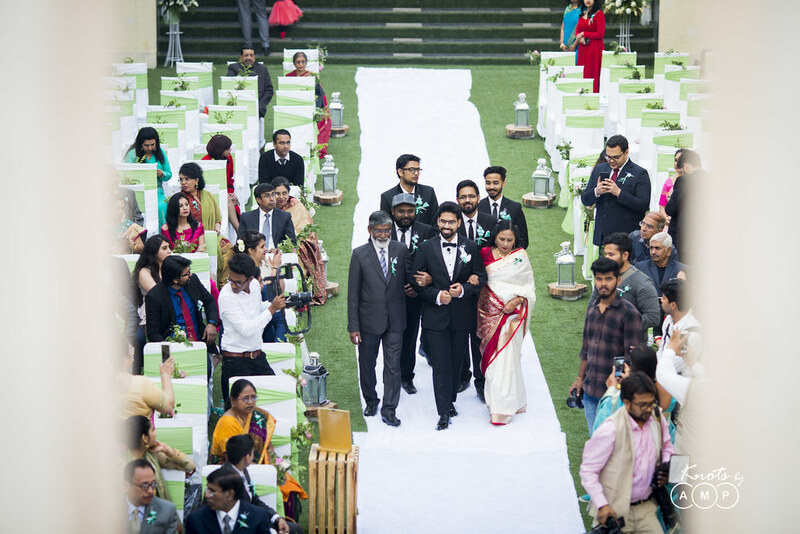 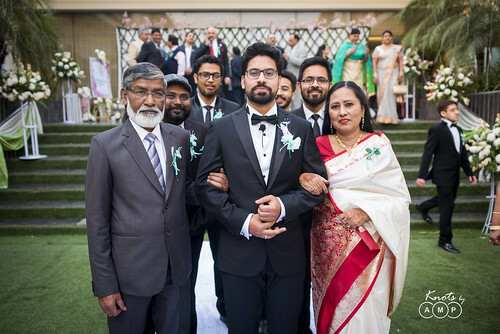 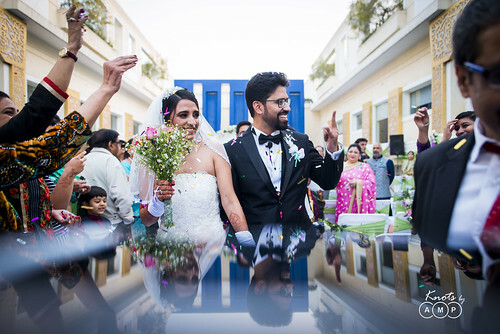 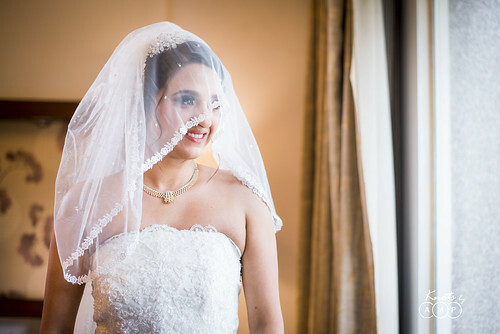 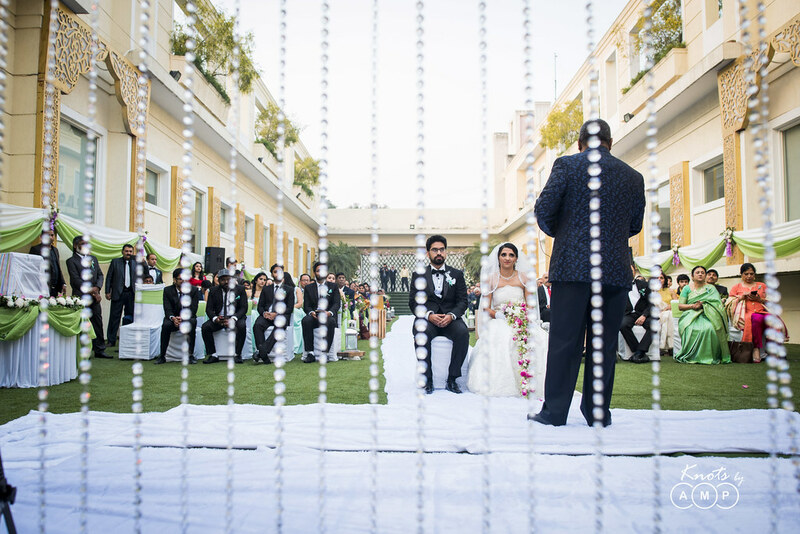 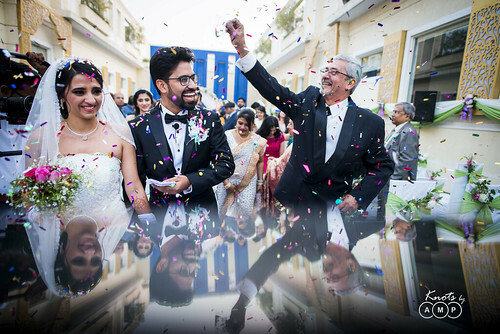 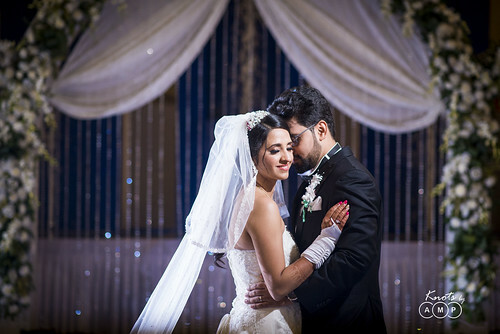 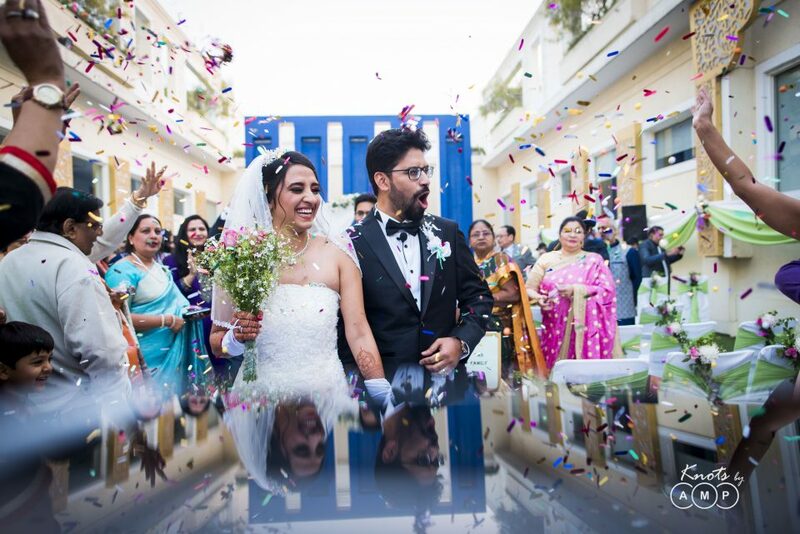 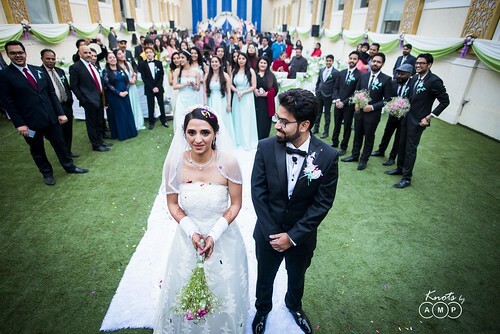 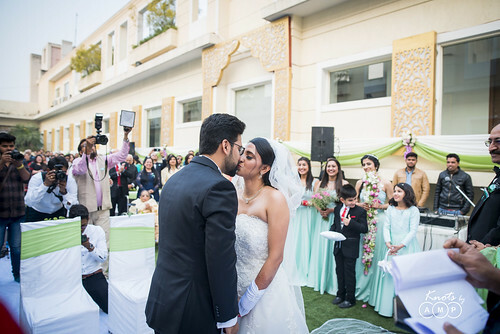 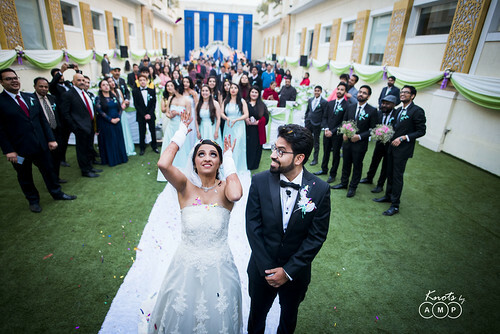 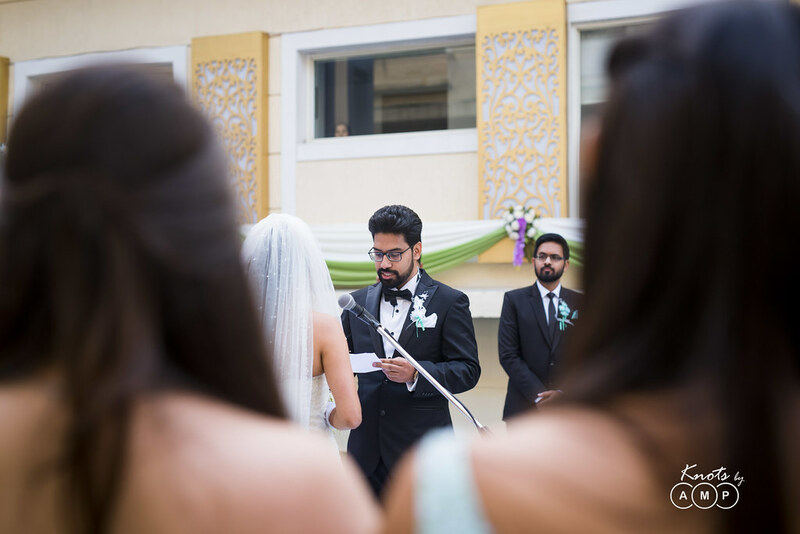 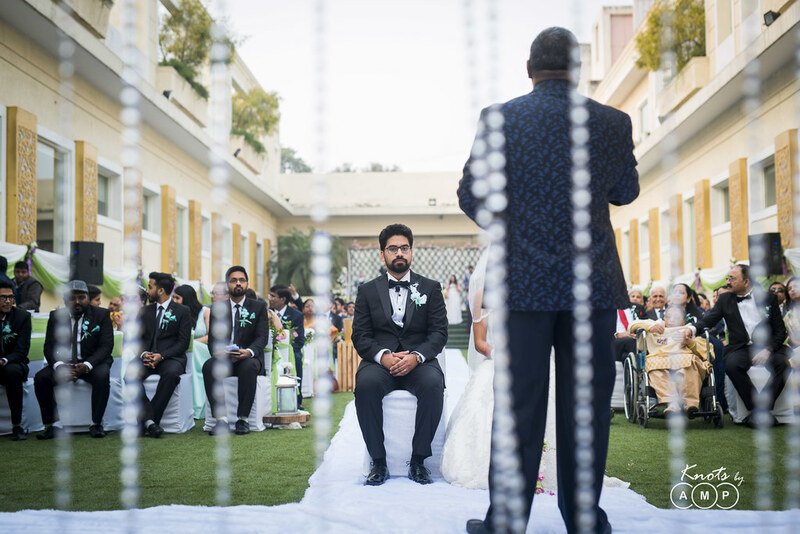 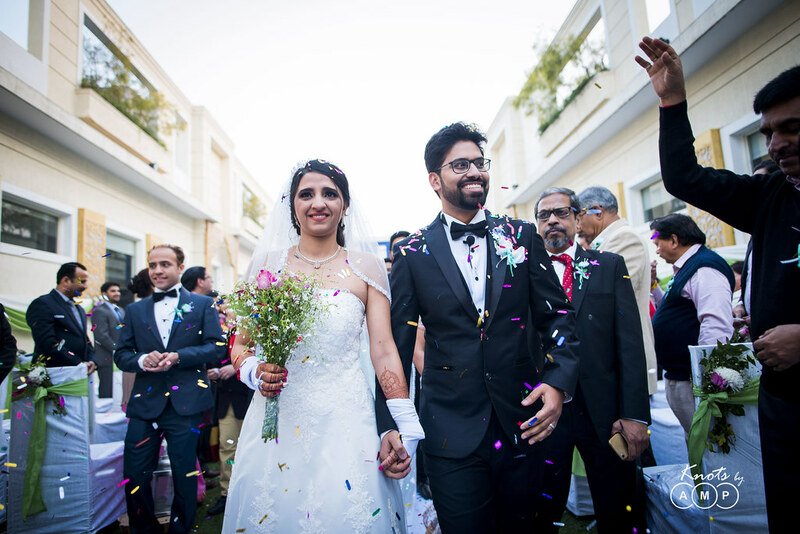 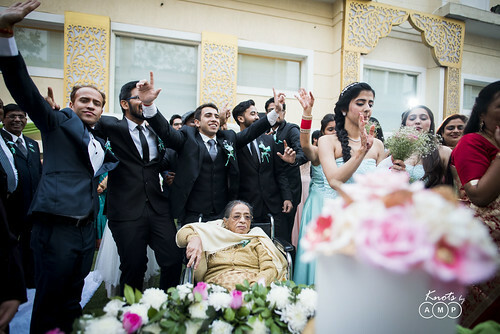 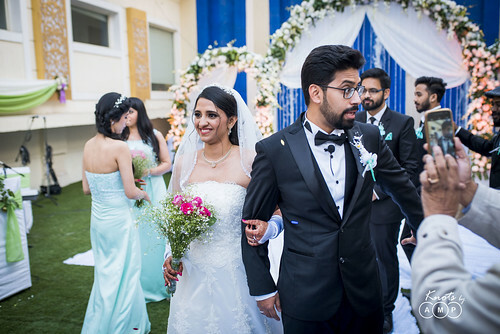 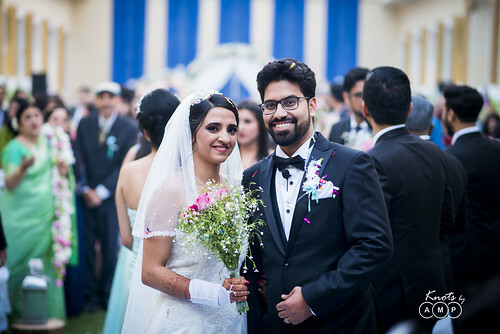 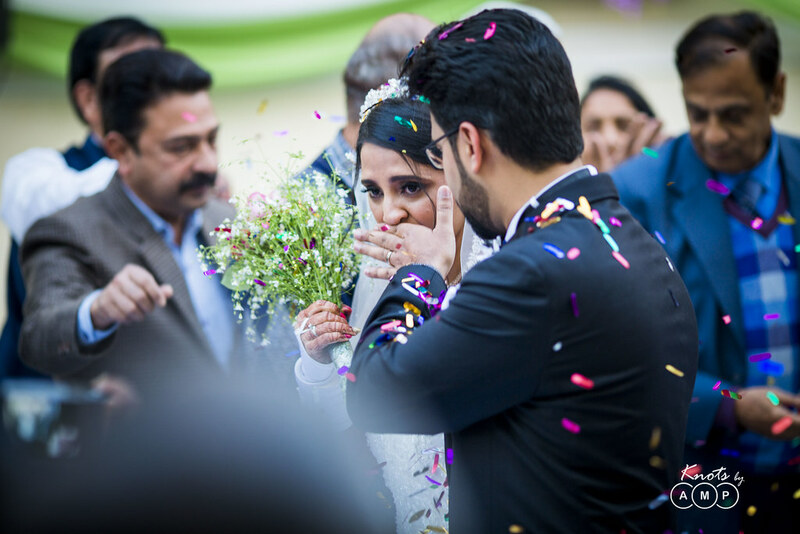 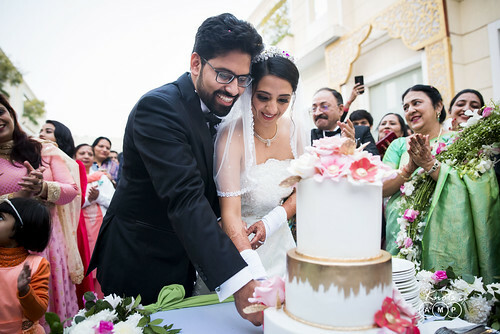 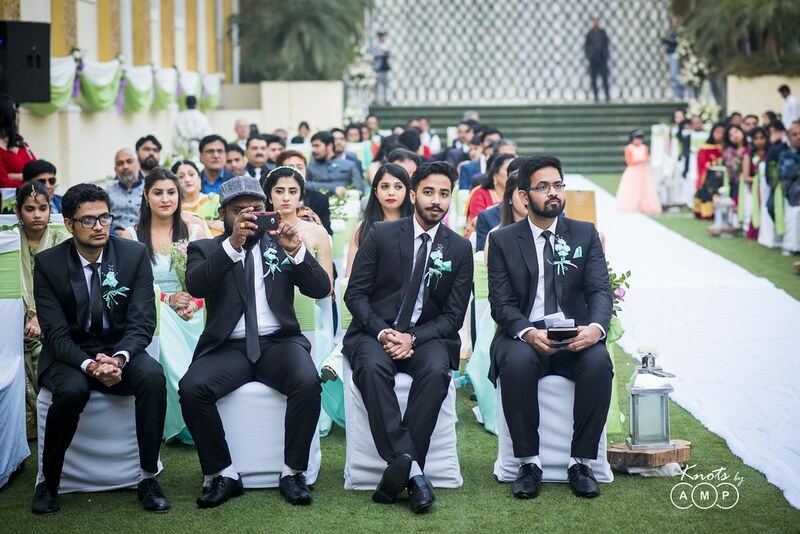 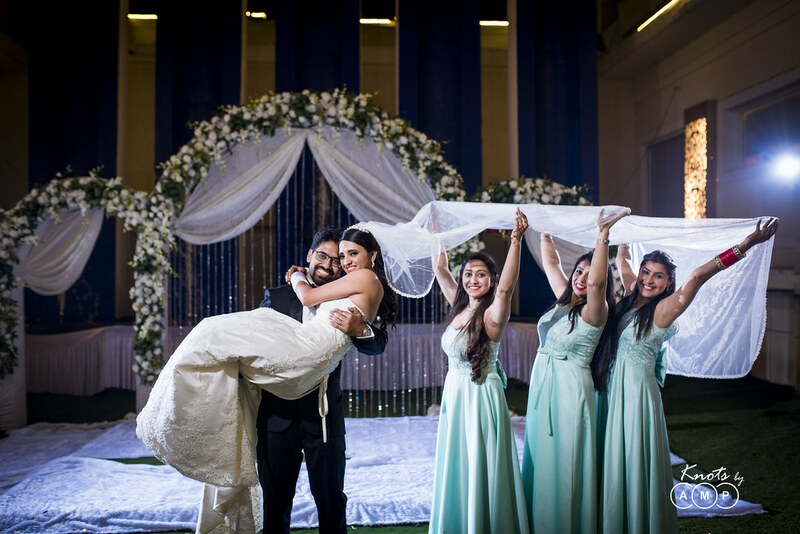 As we gear up for two more white weddings in 2019, here is a story of Ishita & Snehasish’s white wedding at Lily White Hotel in Delhi, shot on the second last day of 2017. And what an amazing shoot to end the year! 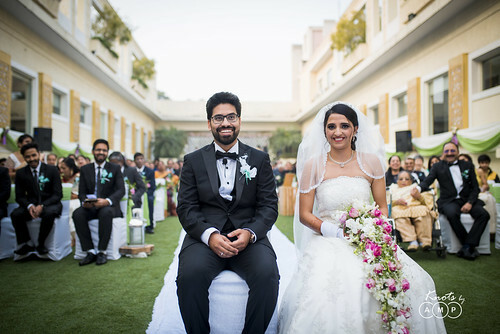 Ishita, a Punjabi & Snehasish, a Bengali Christian have been together for a decade, and they were destined to get married. 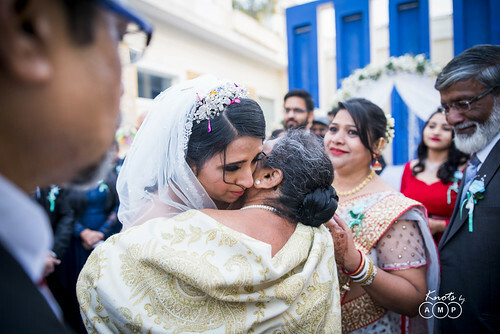 However, when two different faiths meet, its absolutely amazing to see the amalgamation of both the wonderful traditions. 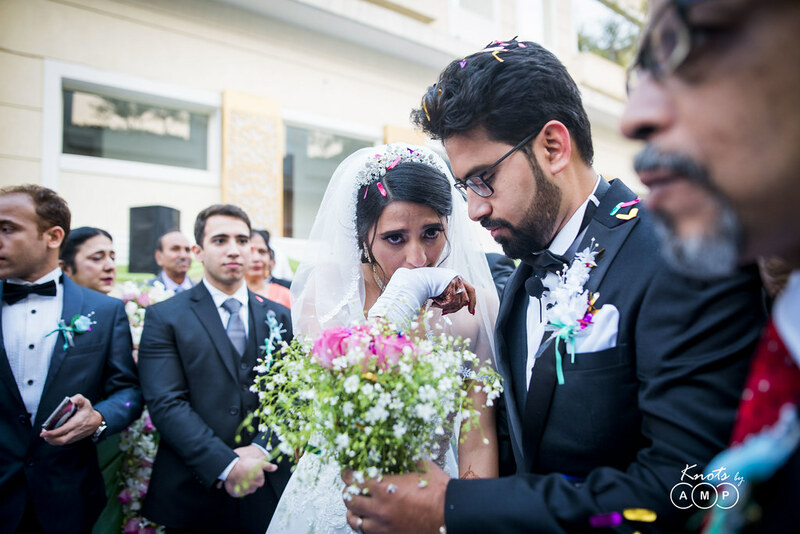 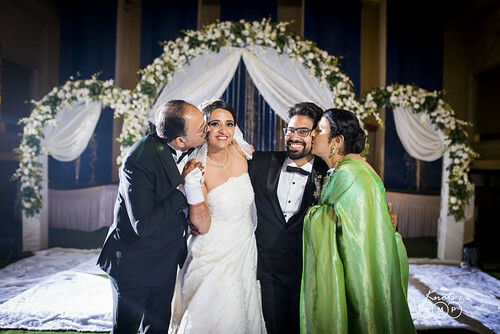 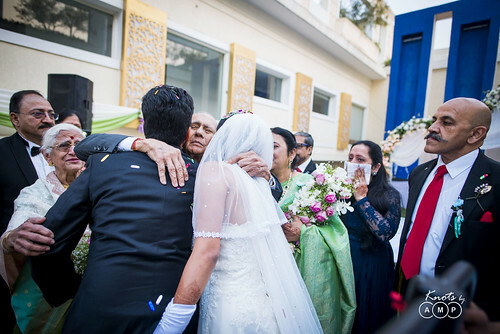 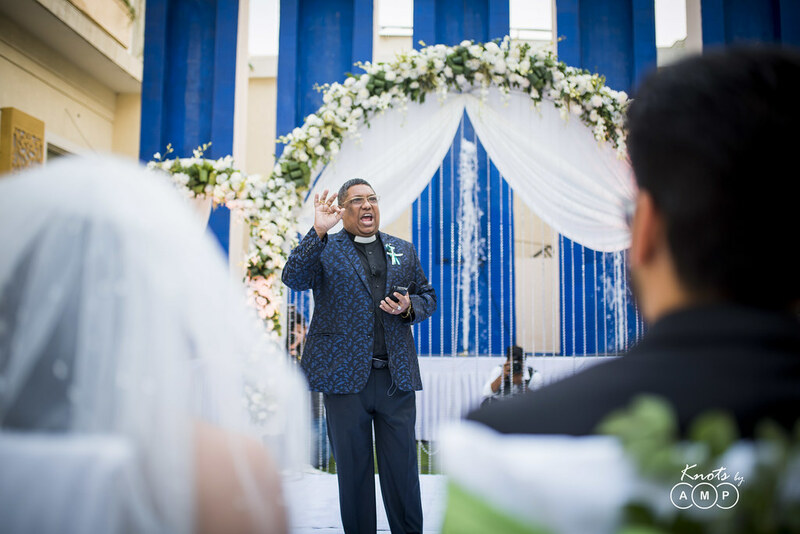 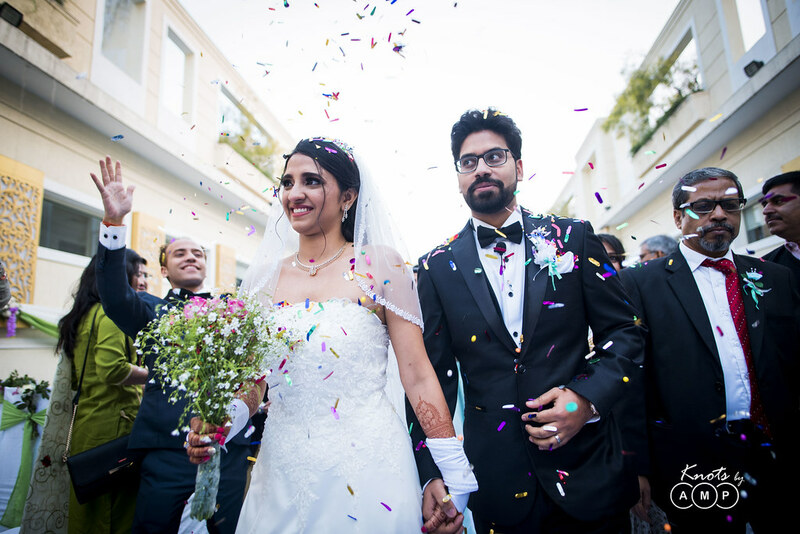 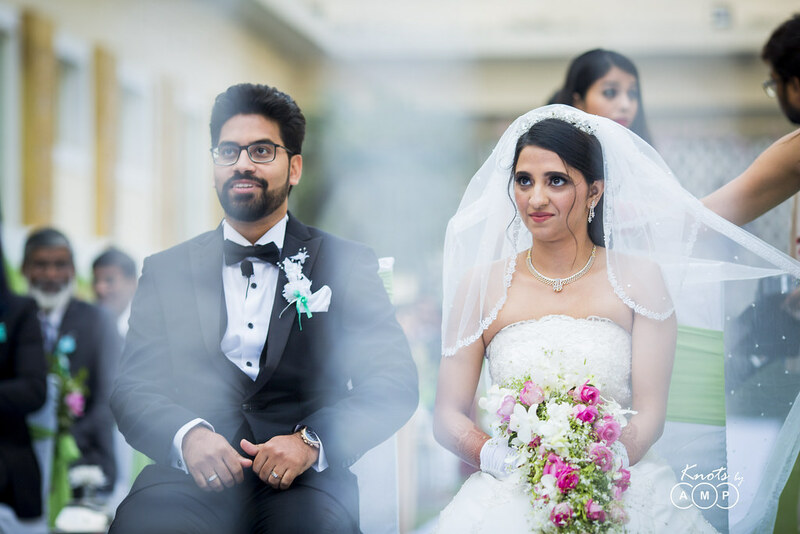 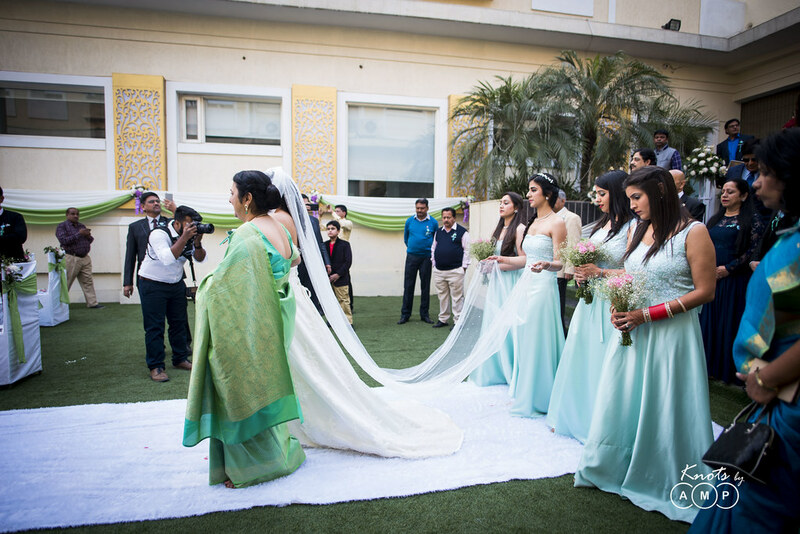 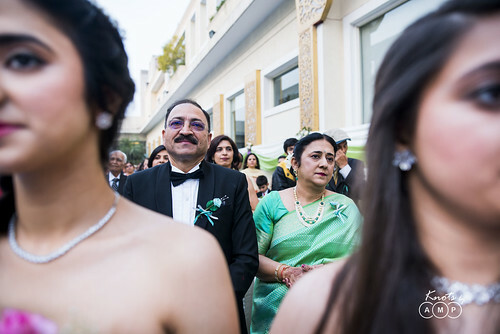 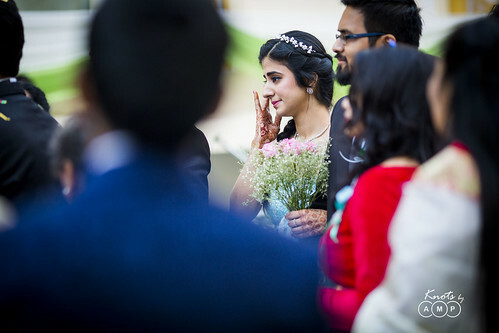 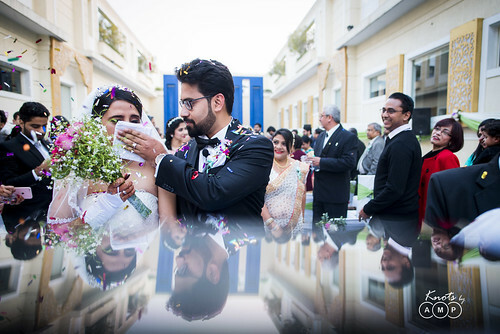 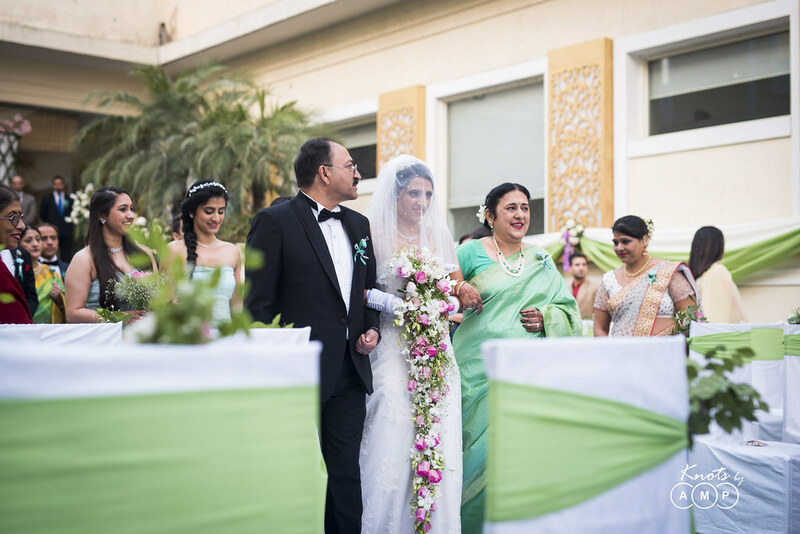 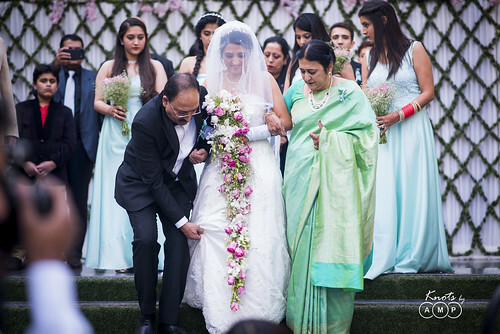 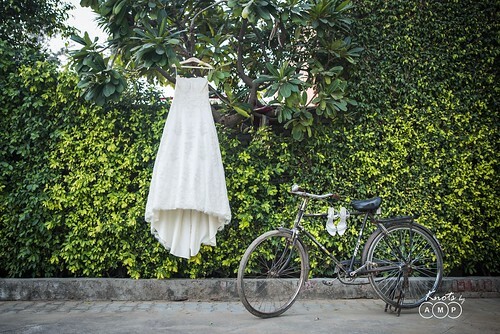 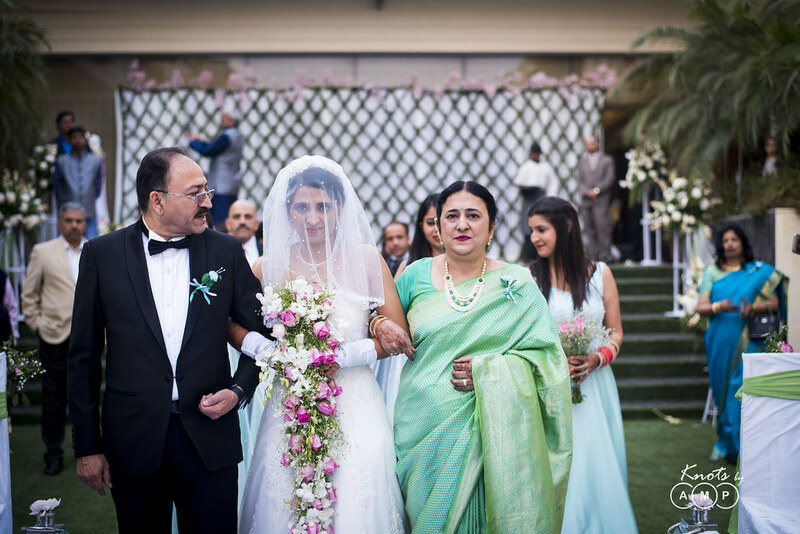 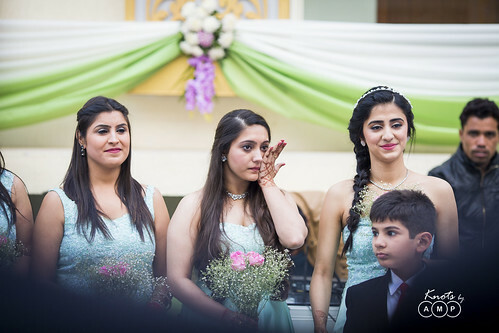 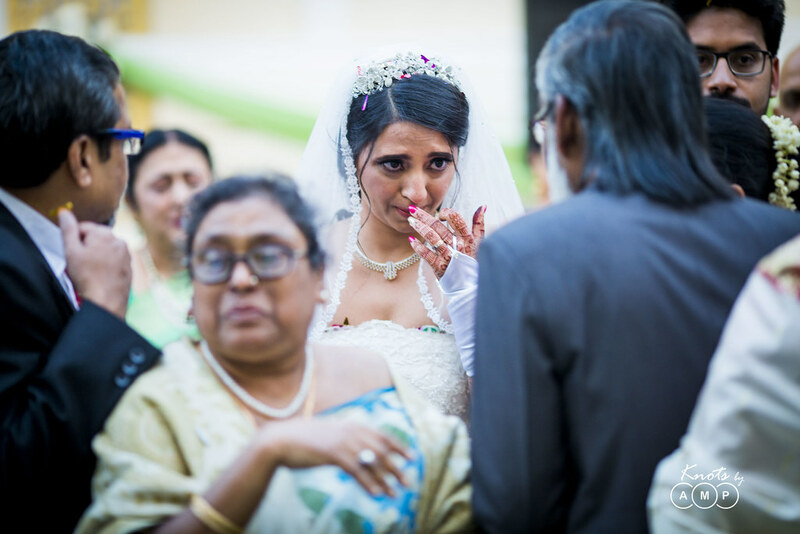 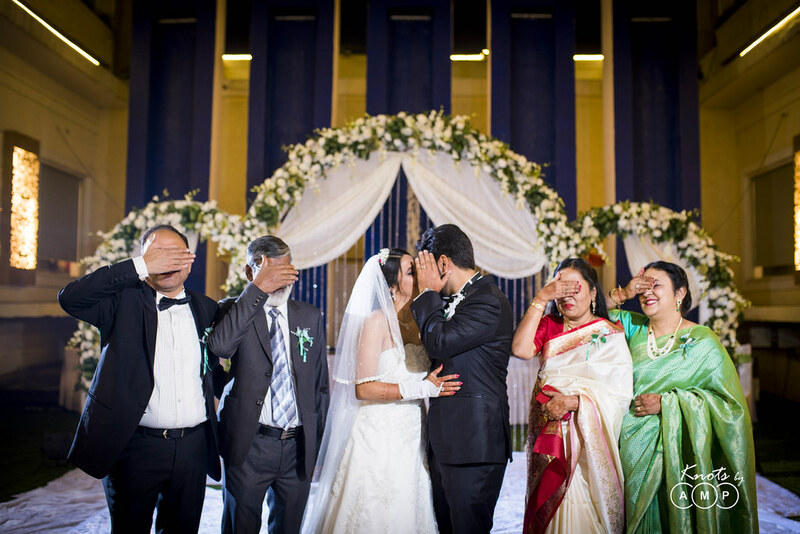 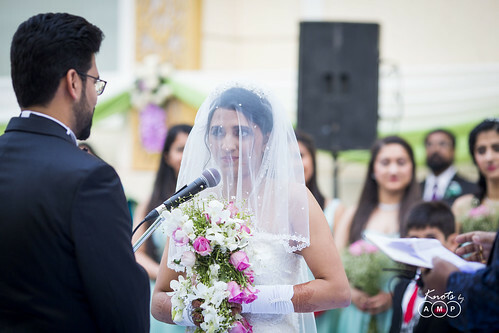 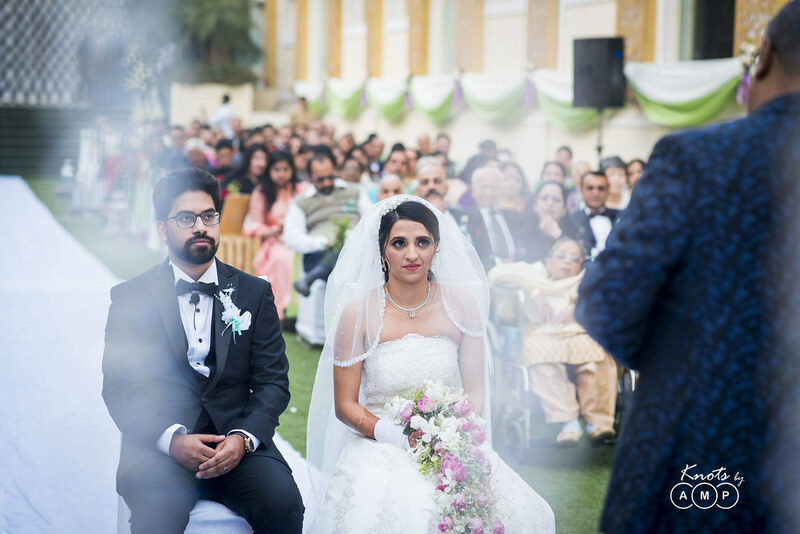 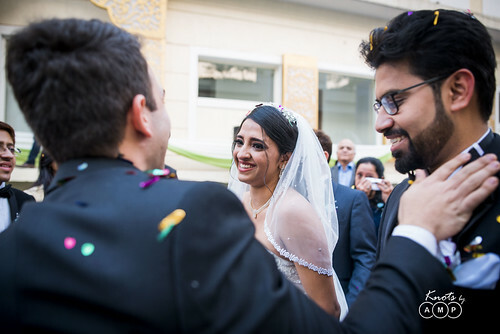 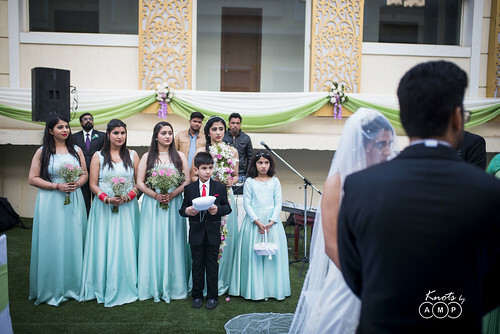 That’s what exactly happened – a dreamy white wedding followed by a beautiful indian wedding. 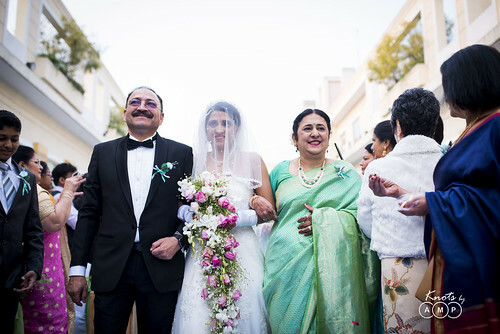 The indian wedding would be coming up in the next blog. 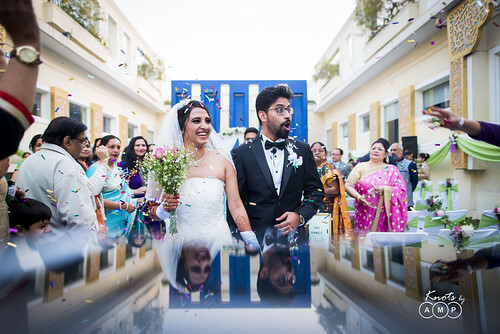 Here is the take on the beautiful white wedding & all the memories we made for them! 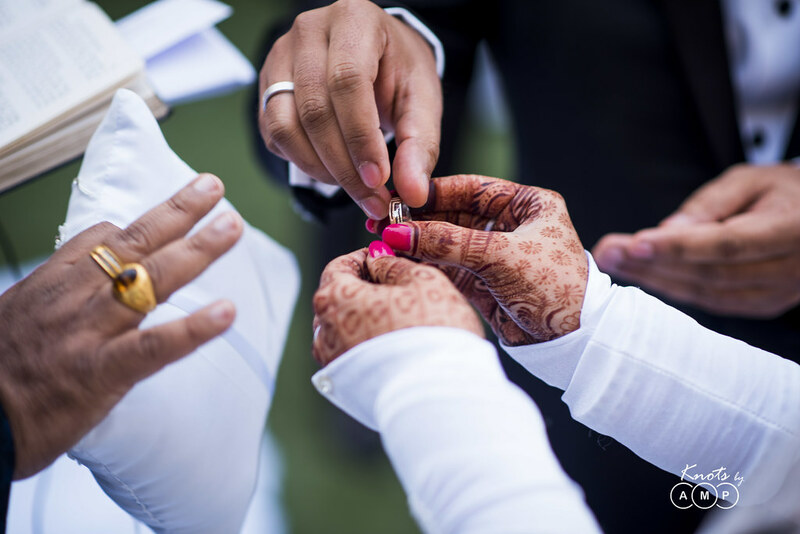 Delhi weddings have an own charm and feel to them! 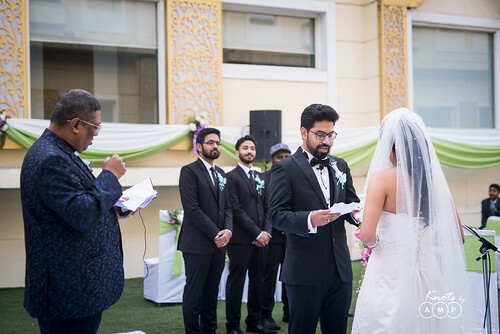 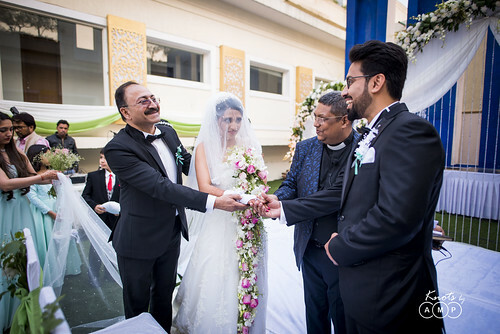 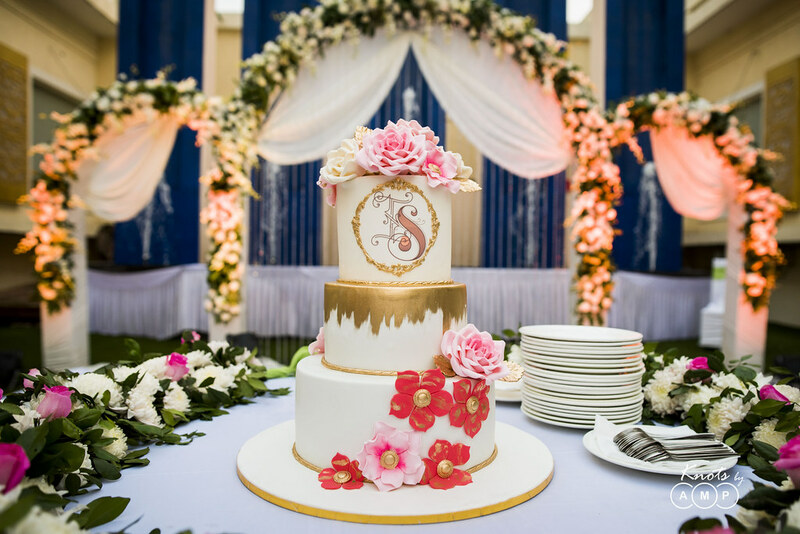 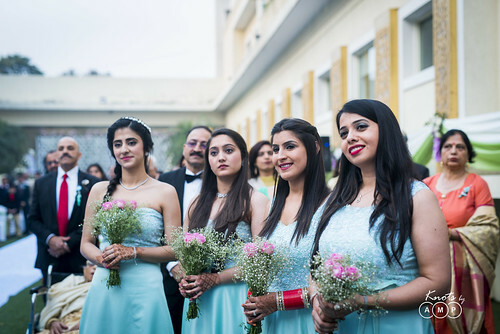 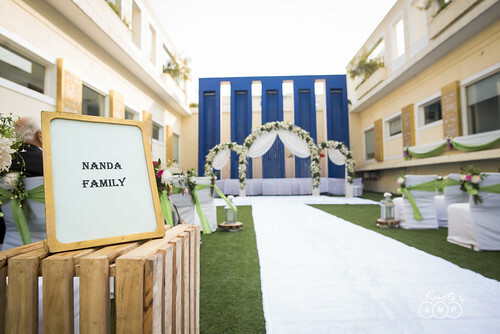 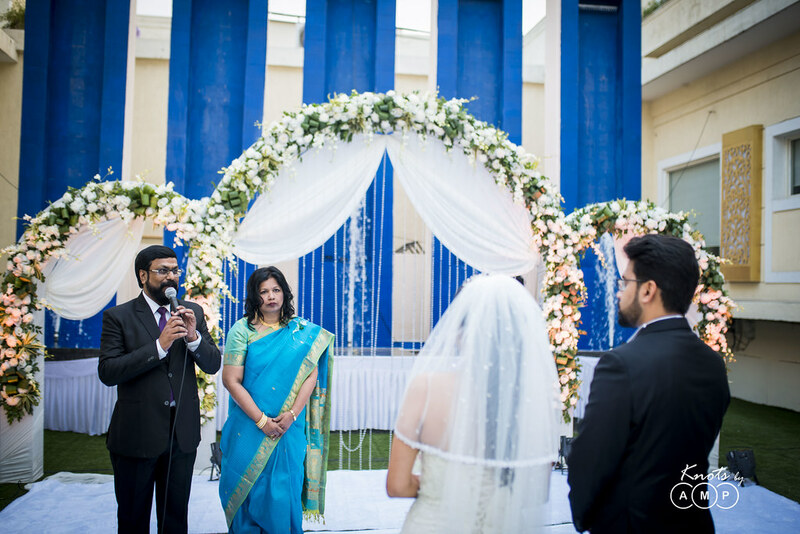 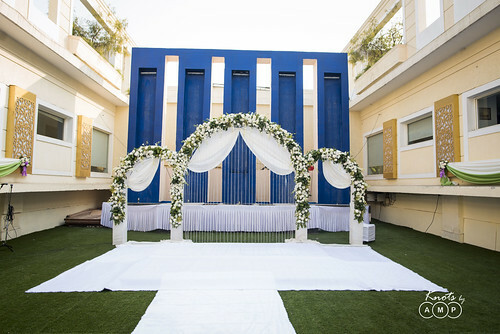 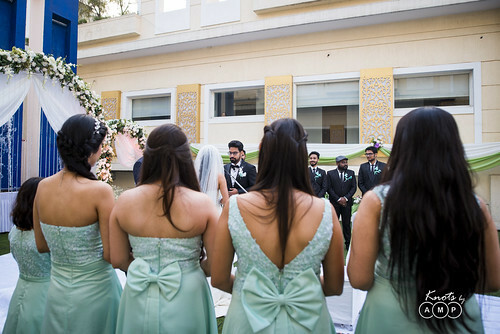 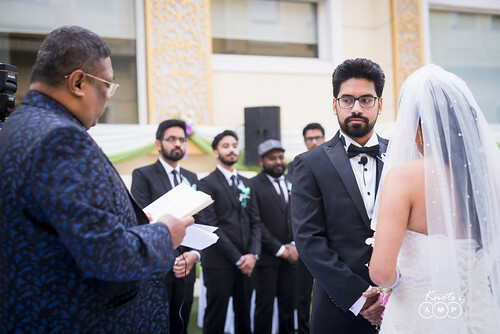 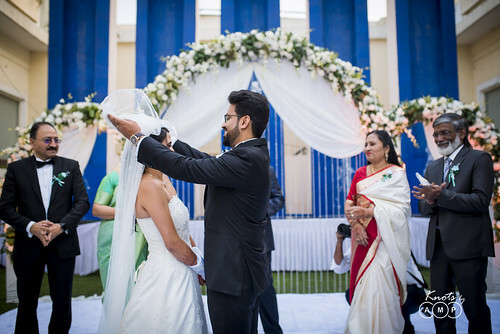 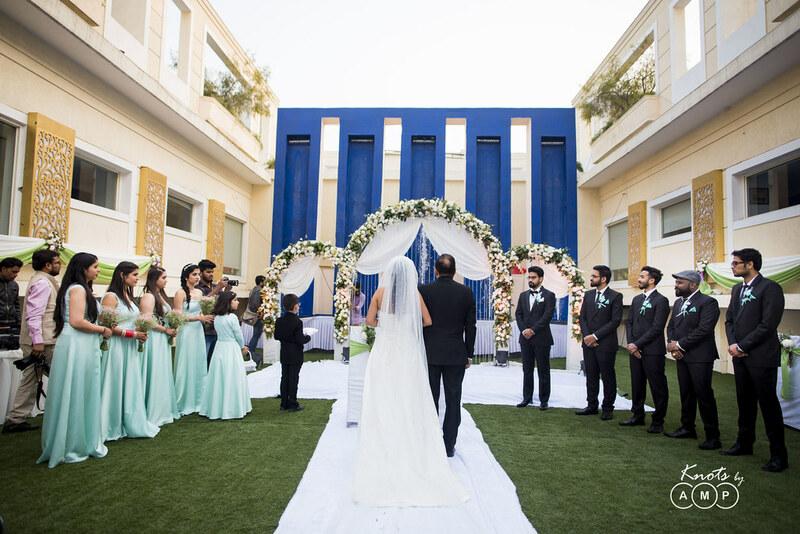 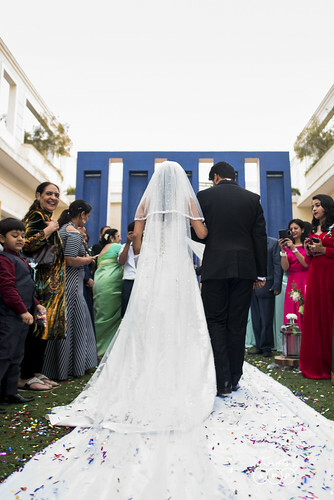 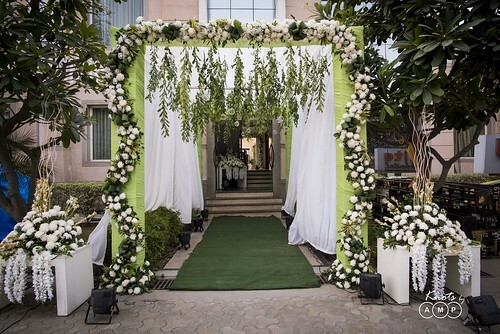 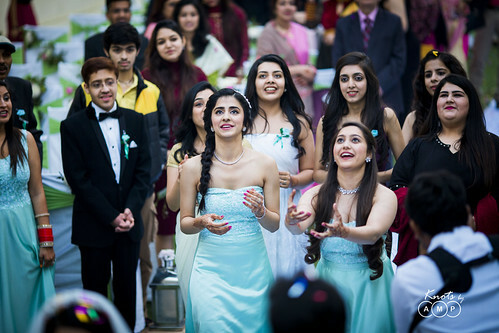 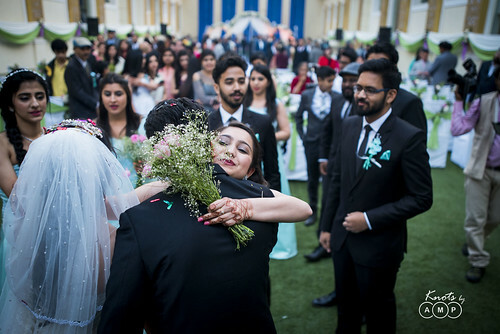 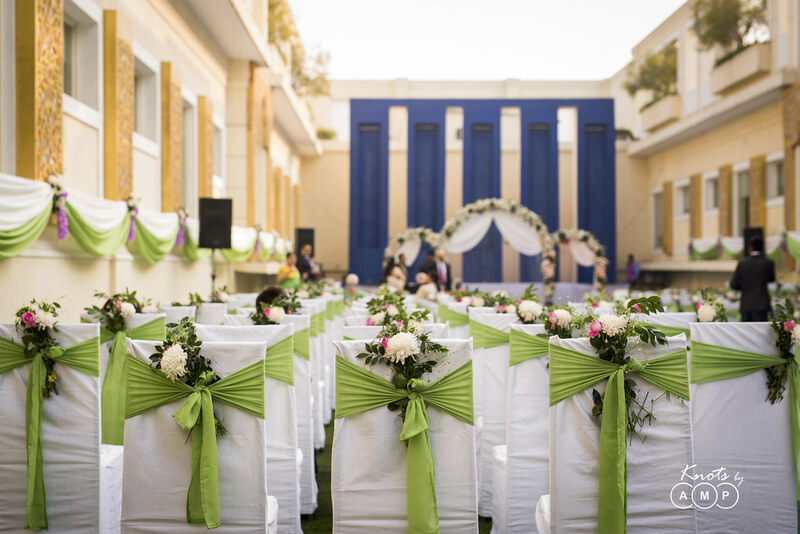 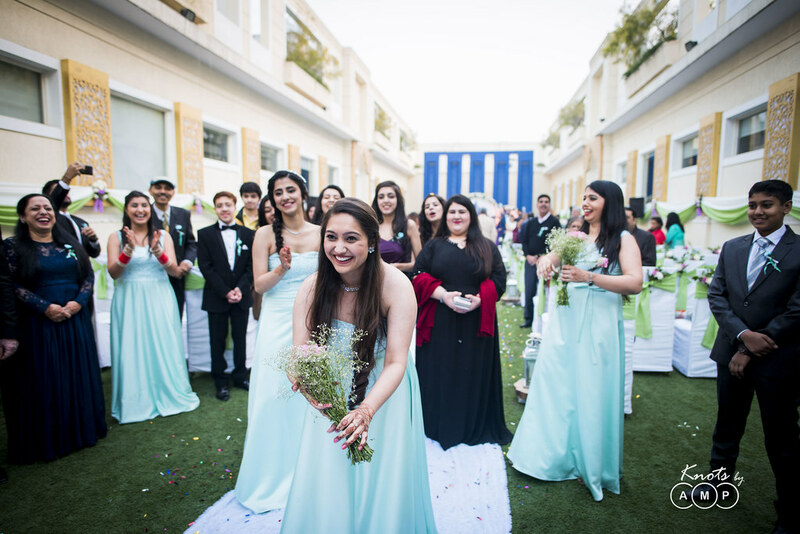 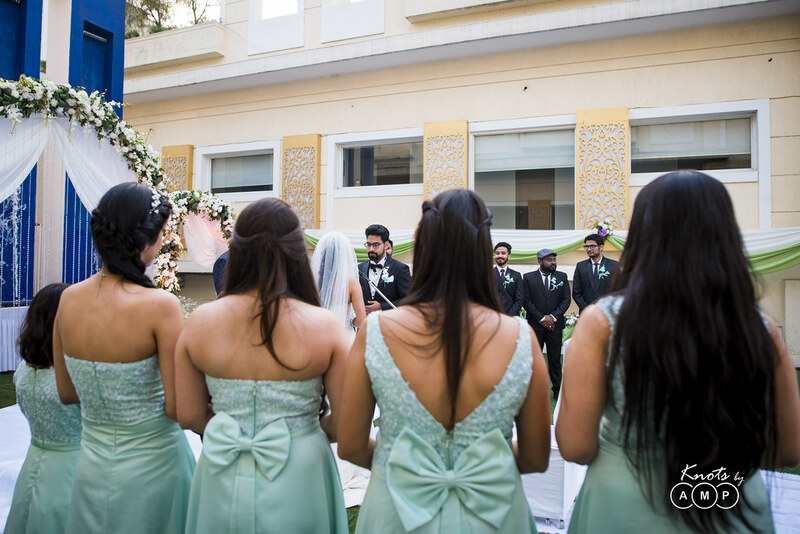 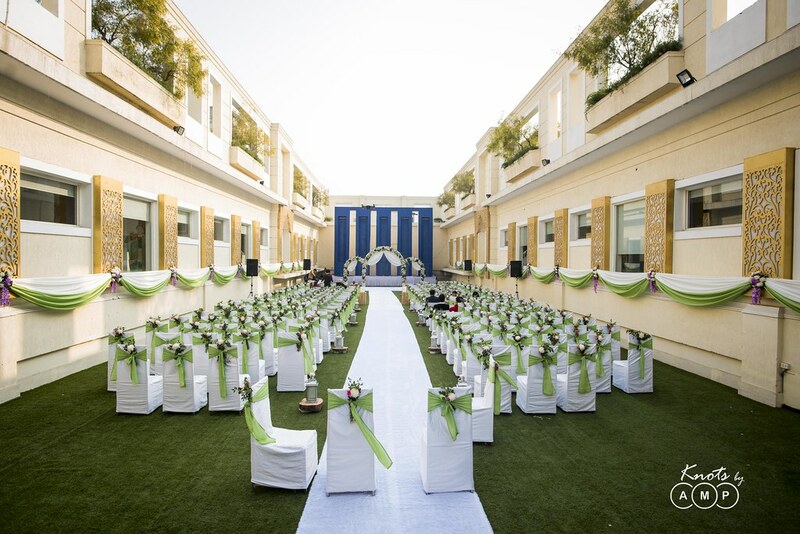 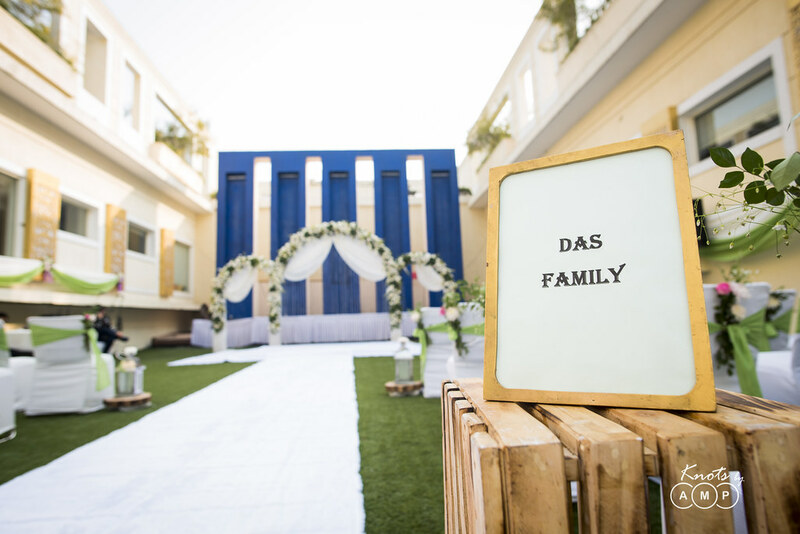 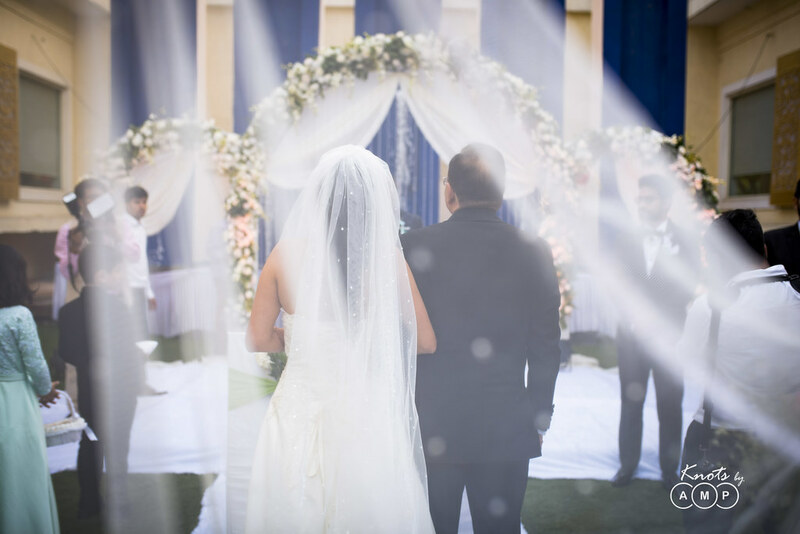 Lily White Hotel at Chattarpur, New Delhi served as a great venue with its lavish banquet hall & a lush green lawn to host the beautiful double weddings. 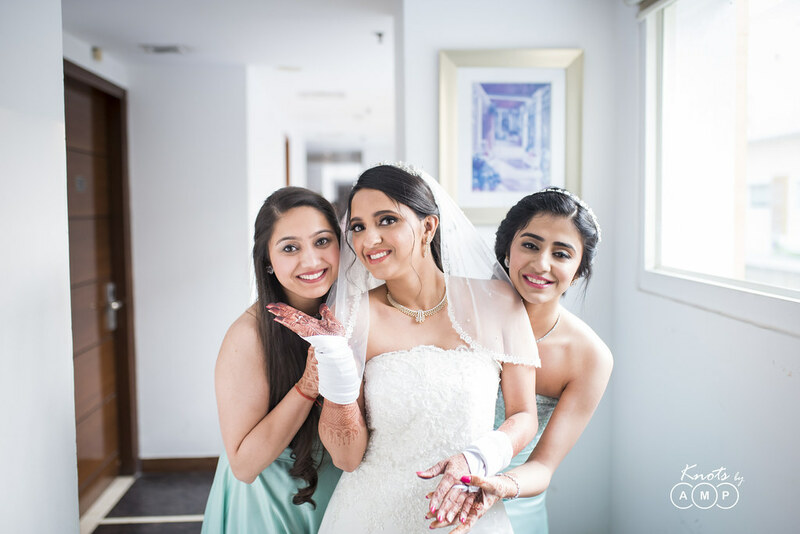 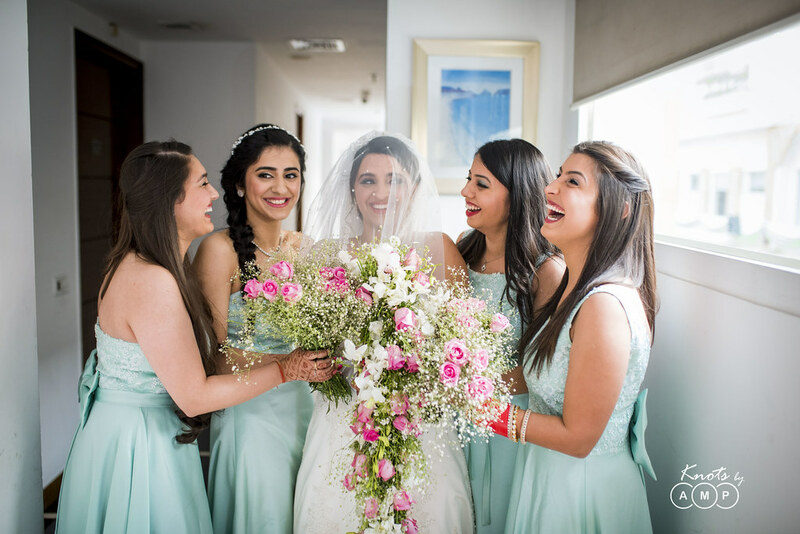 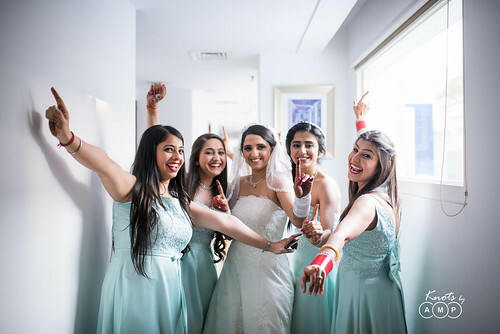 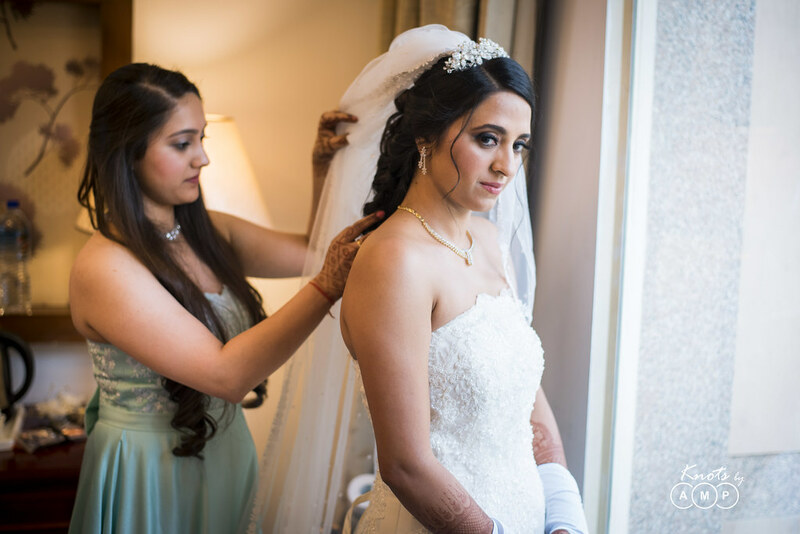 On the big day, Ishita got ready in a beautiful white gown, and we made some photographs with her bridesmaids who couldn’t be more happier to see their darling dressed as a bride. 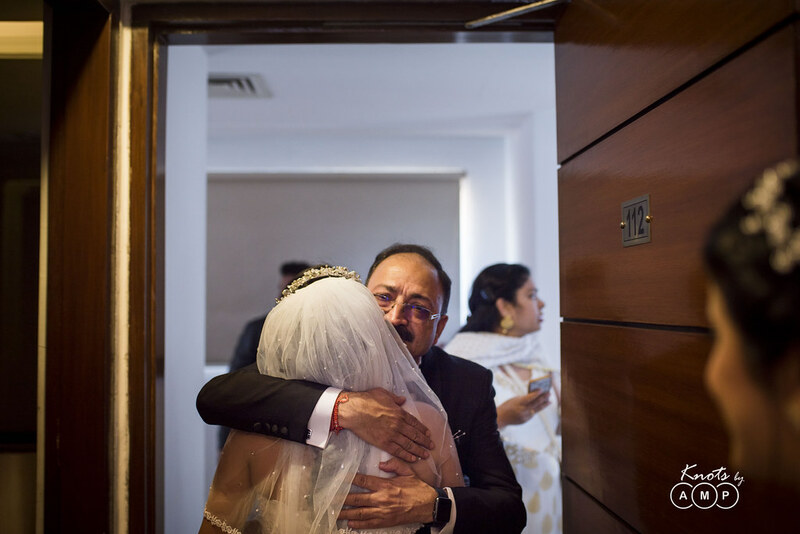 Ishita’s father too couldn’t believe that its finally happening, and what followed everywhere was extreme happiness! 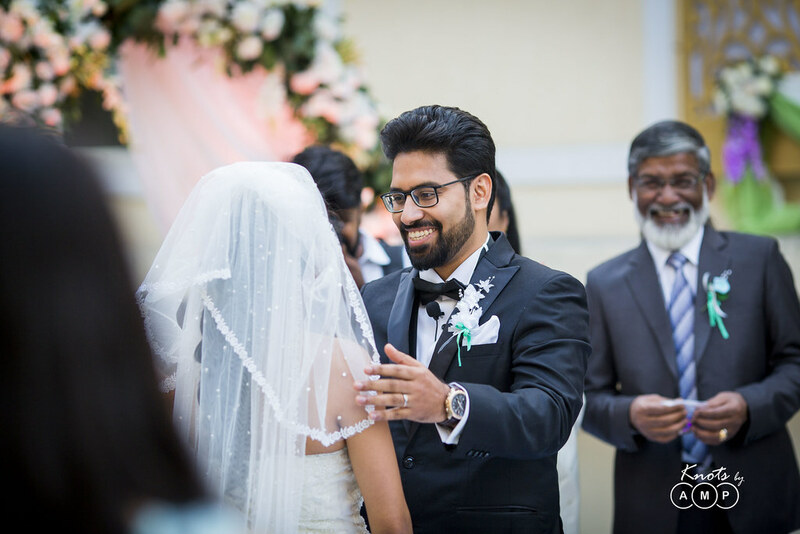 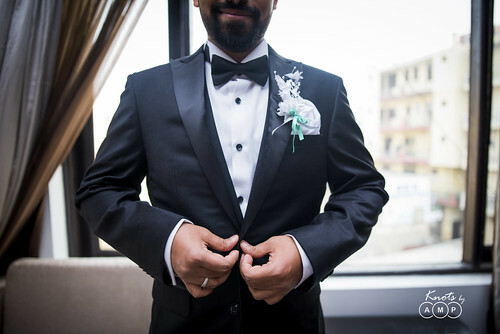 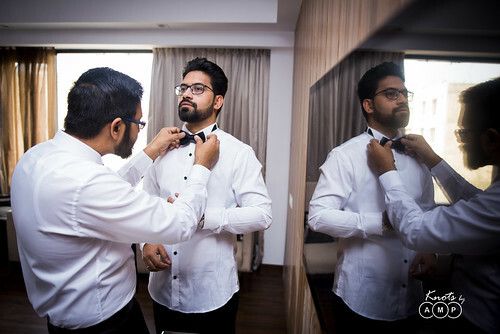 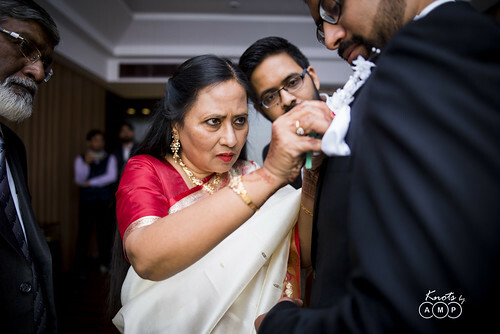 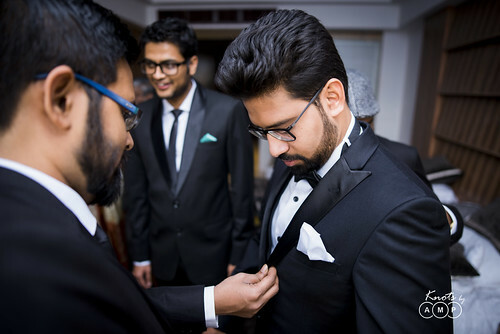 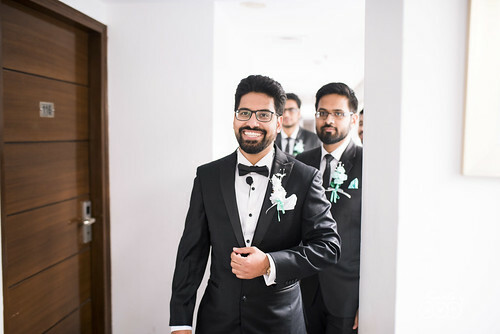 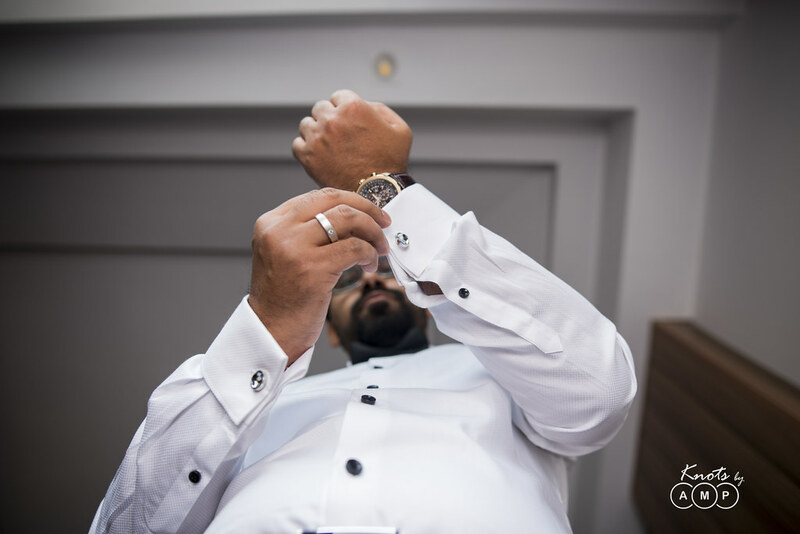 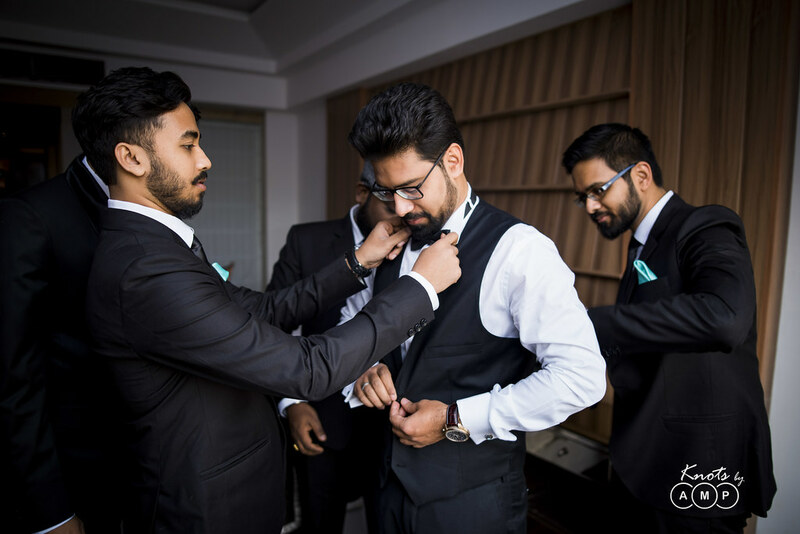 And, here goes the story from Snehasish’s dressing room and all the action behind the groom getting ready for his special day. And here goes the wedding photographs. Beautiful, dreamy and with all the emotions. 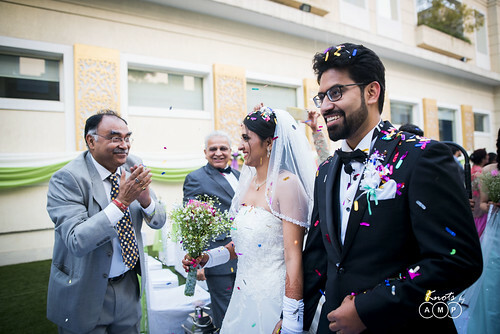 A father’s happiness, a couple’s joys on a new journey, bittersweet moments of a bride & all the celebrations galore is what we saw and that’s what we would like to share. 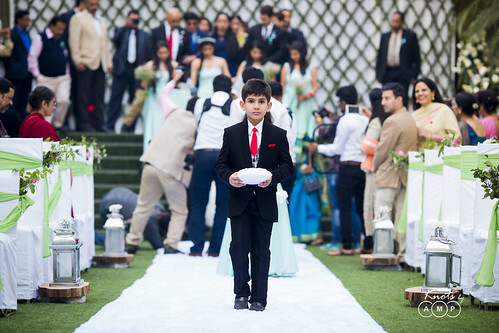 Its so beautiful to see how efficient planning can lead to such brilliant celebrations. 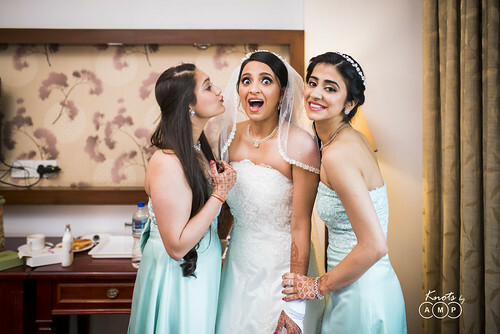 Thank you Ishita, Snehasish & Nikita for extending all your support to us, being so cooperative & always so enthusiastic even though it was freezing cold in Delhi that time. 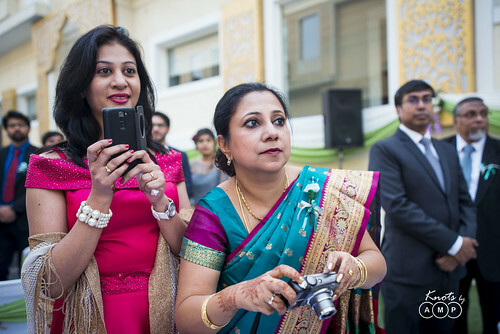 The photographs to take over, now!